Okay, ‘Turbomeister’ is actually kind of a cool. The new orange and black livery debuted on the 2002 Hommage at this week’s Pebble Beach Concours d’Elegance, with its new nickname stickered on the hood, sides, and back bumper. I still wouldn’t mind seeing a toned-down version of this show up in production form, as I genuinely think there’s an attractive-looking front and rear end in there somewhere. Plus, it’s got the engine out of the M2. 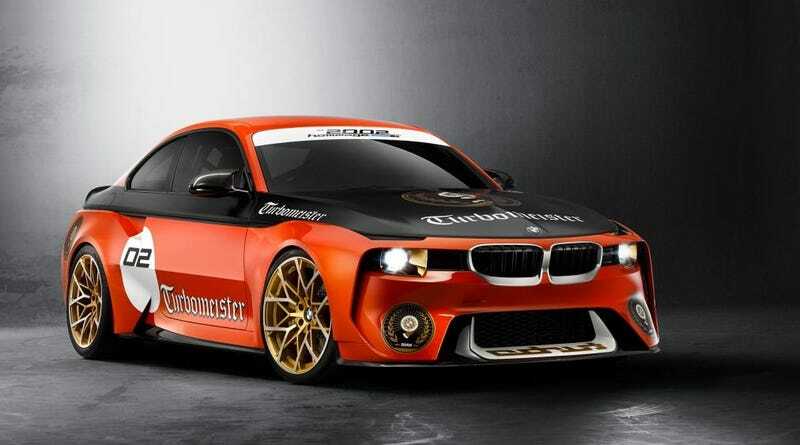 On second thought, I’ll just take an orange and black M2 with ‘Turbomeister’ printed on the panels.